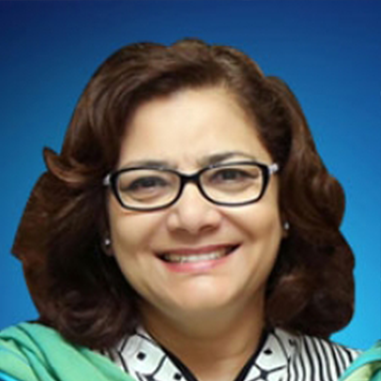 Prof. Lubna Baig MBBS, MPH (USA), FCPS (Community Medicine), PhD (Medical Education, University of Calgary) is a renowned educationist, researcher and Public Health physician with an FCPS in Community Medicine and PhD in Medical Education. She is currently the Pro-Vice Chancellor, Jinnah Sindh Medical University and Dean of APPNA Institute of Public Health, JSMU. She is adjunct faculty for many International and National institutions including, University Ambrosiana, Italy and Faculty of Medicine at the University of Calgary. She has more than 70 papers in peer reviewed journals in addition to 4 training manuals, 2 Books and 10 chapters in books. She has over 100 presentations in national and international conferences with special interest in Medical Education and Public Health. She has been an invited speaker to many Education and public health conferences. She is the founder member of the Master in Health Professions Education (MHPE) at Dow University of Health Sciences.  Dr. Baig’s par excellence academic record includes Fellowship from the College of Physicians and Surgeons of Pakistan, (FCPS) in Community Medicine and Doctor of Philosophy with Specialty in Medical Education from University of Calgary. She also possesses Master degree in Medical Education and Public Health from Dundee, UK and USA respectively.